MicroNotes are something new I'm going to try (possibly through 2019). Rather than aiming for a long post once a month, which I am prone to kill (if it doesn't come together or looks slight after poking at a draft), I'm going to post some shorter writing here. I've been writing some thoughts elsewhere for a while and so might go back and put some of those posts here (and even go through my old drafts that I never fully shelved). This should also give room for smaller coding & rendering thoughts (that are bigger than fit on Mastodon or Twitter) to actually get posted here. I have always found "respecting the player's time" to be a useful lens through which to consider game design. What needs to be here; what do I think makes a positive contribution to the core arc; just how much of a structure can be made optional and how do we signpost it so players can best dive into only the content they want? Extracting the most from the interactive nature of games means building structures that react to each player and customises how they experience a game, attempting to give the best progression to the most people we can reach (and even respecting that some players will not enjoy what we are making and should not be strung along). The thing is, this phrasing has become extremely common in games criticism, to the point of dilution. “I don’t like this game as I feel like it is not respecting my time (and here are 6 paragraphs on exactly how)” is commentary on where I feel a game does not align with how I value the different activities it offers and what it considers core vs optional - I can’t fast travel in a game where I don’t agree with a design decision to make it more immersive and exploratory by not having those systems; I can’t sample just the narrative content I find engaging and think that the game should flag more content (as optional, as less important) that I don’t find core to the experience; I see mountains of “content” without enough signposts to let me understand it and a progression through it and am simply overwhelmed in a way I do not think benefits the game or possibly even was the design intent. “This is one of those doesn’t-respect-your-time games” generalises specific criticisms about various systems vs a personal view of what it could be into almost a genre - the too-long game. It flattens a meaningful discussion from which the speaker can make clear what their values are and so why a game doesn’t align with them (valuable information a reader can compare to their own values) into basically nothingness. It’s a topic where you need to be detailed because otherwise you’re basically just repeating the ancient “game long so good value” vs “game long so necessarily boring” war. 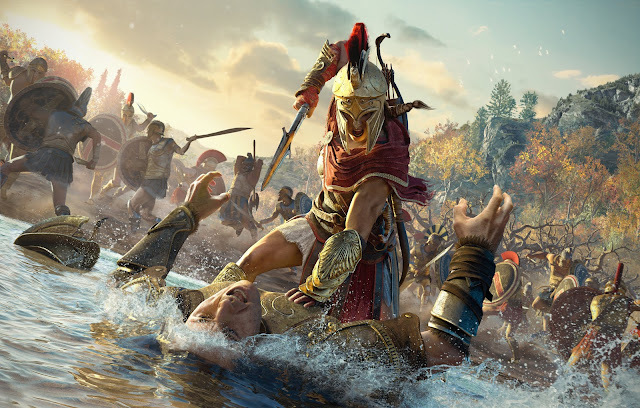 To some Assassin's Creed Odyssey provides the latitude to inhabit Kassandra’s life and soak in the world, to others the content is a slog and they’d much rather a far shorter core experience that the game does not appear to offer. Respect-your-time is extremely respect-your-time and the forming of critical consensus around a game will always flatten that even if the critics who voice their views are individually detailed in their analysis. Every player is different and ideally games would all have a certain level of give to help accommodate as many people as possible but we’re not yet at that point. I’m also not sure the tools for signposting & flagging are sufficiently developed to be universally readable by the audience even when we add them. As we pick through the big lessons of the last decade or so of game design advances, the big open worlds and structures for repeatable content that span genres and platforms, this is hopefully something that will develop.